Enter the life-size avocado brooch. Oh, and it also sports a three-dimensional pit! 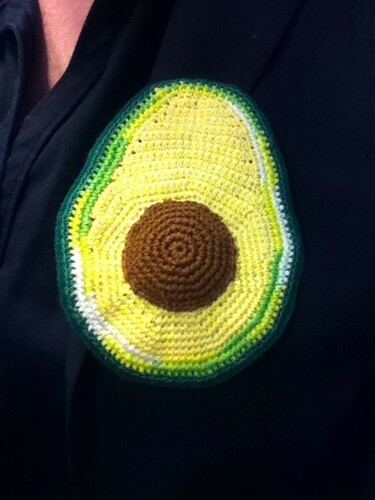 This California grown (read = crocheted) creation looks quite fetching affixed to one's lapel. So much so that as it happens, I am wearing one of these green lovelies today. 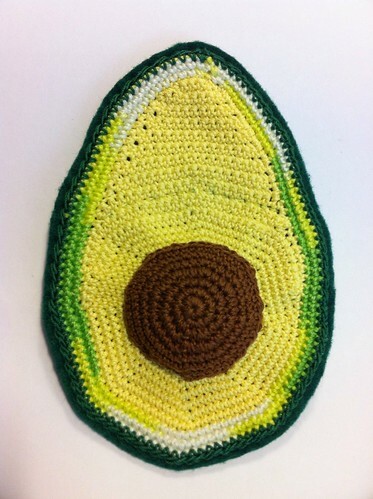 Let me just say that many a co-worker has commented on my big green crocheted jewel as I strut on by, "Nice avocado." There will be lots of jewelry, accessories, patterns and handspun...Oh my! I'm sooo excited!